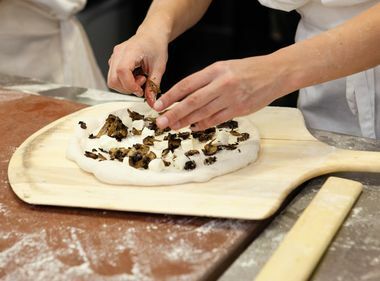 High school students make pizza at SCE's Foodservice Technology Center. 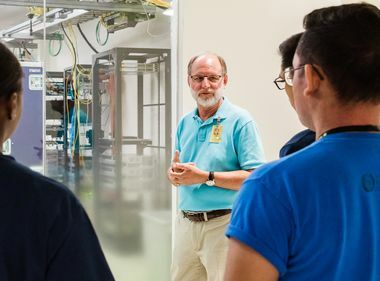 High School students learn about energy-efficient kitchen equipment, including induction ranges, steamers and rapid cook ovens. 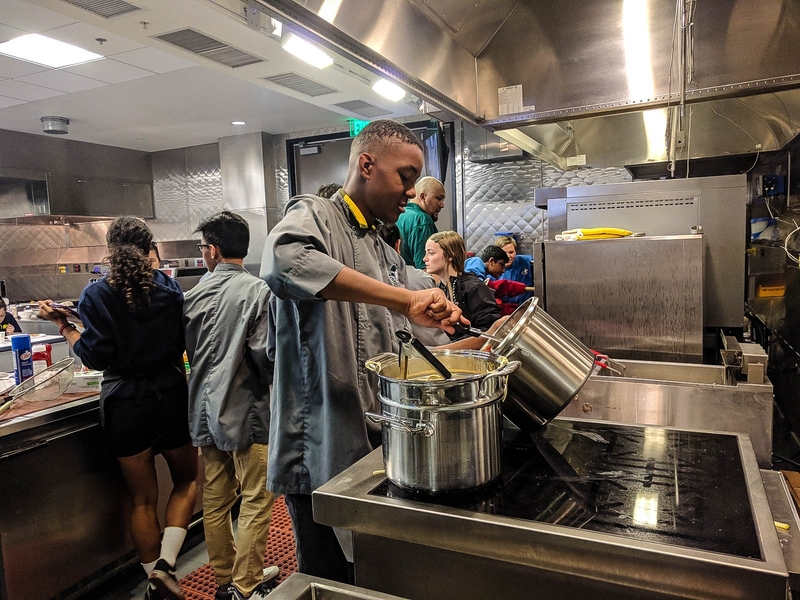 In addition to the benefit of water filtration systems, the students also learned about how to set up a cost-efficient kitchen using the latest energy-efficient equipment. 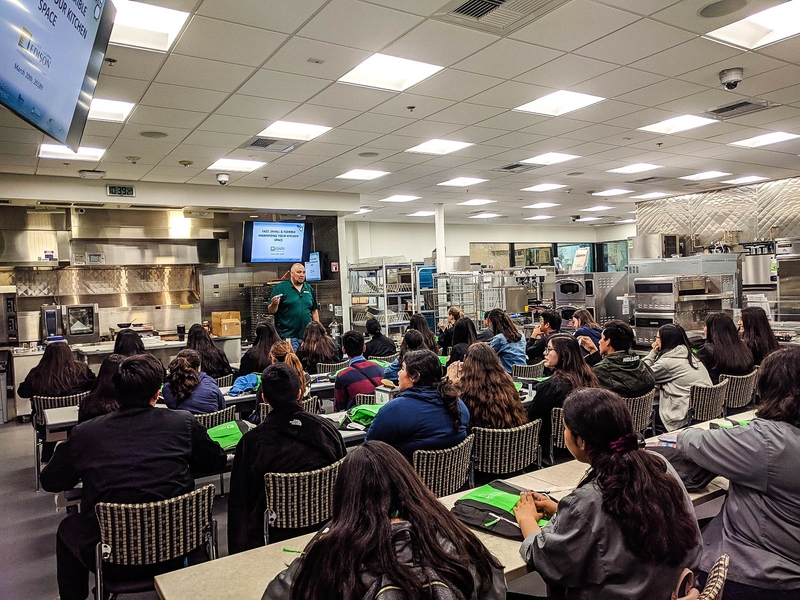 Students from Chino and Chino Hills High Schools learned about energy-efficient kitchen equipment. The highlight for most of the 40 students was the chance to make and eat their own pizzas in the rapid cook ovens. Click here for more information on SCE’s Foodservice Technology Center and its free courses. 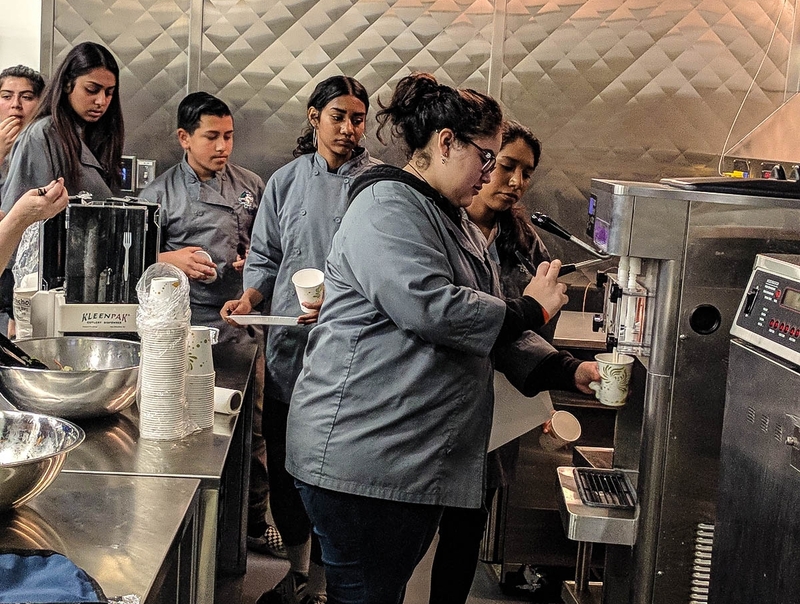 Students from Chino and Chino Hills High Schools recently visied SCE's Foodservice Technology Center.